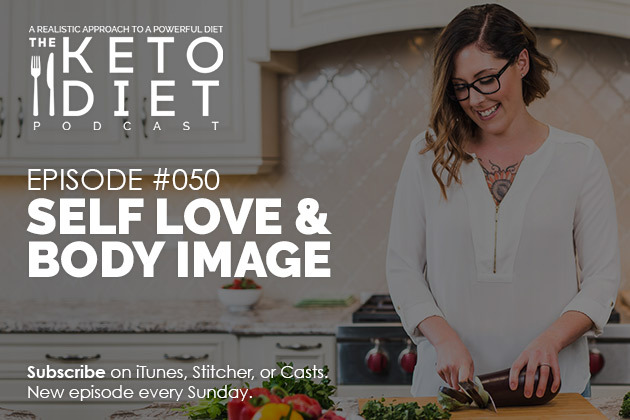 Interview with Joelle Anderson, chatting about connecting to your body, how to overcome self-sabotage, body image, and the relationship with the self, as well as direct questions from listeners, meditation, and so much more. For so many people, following a ketogenic lifestyle is about healing the body. But sometimes a whole foods based approach to keto is not enough; sometimes, in order to heal completely, we need to go a bit deeper and explore the original causes of damage, often resulting from a disconnect between the mind and body. Believe it or not, the relationship with the self needs as much attention and care as our relationships with everyone else in our lives. Oftentimes, we put our “self” on the back-burner in order to sacrifice time and energy for something or someone else. We adopt behaviors that actively work to sever the relationship between the body and the self, implicitly signaling that the self is not a priority within our own lives. 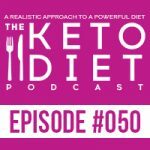 Leanne Vogel: You’re listening to Episode Number 50 of The Keto Diet podcast. Today we’re chatting about connecting to your body, how to overcome self-sabotage, body hatred and so much more, so stay tuned. Hey guys, happy Sunday. I hope you are enjoying the first couple of weeks of September. September is my favorite month; the transition between summer and fall is one of my favorite things and we are wrapping up the final days of The Keto Diet book tour. I can’t believe it’s almost over. Thank you so much for everyone that’s come out and just hung out with me for a couple of hours. I’ve really enjoyed meeting each and every single one of you, I wish we could spend so much more time together. Two hours goes by so quickly and just thanks for following along and taking time out of your busy schedule to come by and say hey, and I always learn a lot from you guys and this tour has been no different, so thanks again. If I missed your city, hopefully one day in the future I will be stopping in your area. It will definitely be a lot easier now that we are explorking full time. If you have no idea what explorking is, definitely check out our new blog, explorking.com where we share our life in an RV and how that’s going. So far, so good. The show notes and full transcript for today’s episode can be found at healthfulpursuit.com/podcast/e50. The transcript is added to the post about three to five days following the initial air date of this episode and let’s hear from one of our awesome partners. I love being Canadian, the home of the true north, strong and free, but gosh, I’m pretty jealous of you all in the US because you get access to Thrive Market while I’m stuck with limited access to the abundance of health foods that you all know and love. We have 14-day shipping, and everything’s really expensive, and forget about free shipping. That’s always out of the question. For all of my pals south of the border, my friends at Thrive Market are offering you 35% off your first box of groceries, plus free shipping and a 30-day trial so you can re-order your favorites a couple of weeks down the road.You can go to thrivemarket.com/hp to get your instant 35% off and this offer is available to new Thrive Market customers only and people in the US. Wah wah. We got one announcement today and it falls in line with what I was just chatting about, if we met on the book tour and you snagged some pictures of us together or talking or of the book, or maybe you have the book and you didn’t get to go to the book tour and you missed it, definitely take a picture of yourself with the book, I would love to see it. You can use the hashtag #ketodietbook and we will check out all the hashtags, see what’s up. I really love collecting those photos, so I didn’t get to snag as many as I would’ve liked. Today’s guest’s name is Joelle Anderson. In addition to being a long-time keto enthusiast, Joelle is the owner and meditation coach at Kernel of Wisdom. Through her private coaching, as well as weekly YouTube channel, Joelle has helped thousands of people find their buttery rich, amazing self within, fall in love with that self, become best friends with that self, and have the tools to continue to nurture that relationship for the rest of their lives. This has included healing people’s relationships with their bodies, giving them the tools to shift from a mindset of body struggle into a space where they see their bodies as an ultimate signaling device and even as a refuge. Joelle’s awesome, I really hope you enjoy this podcast. There are a lot of questions we didn’t even get to, so if you’re like, “Girl, you need to have Joelle back on,” you just let me know by sending an email to info@ketodietpodcast.com and we will make that happen. I hope you enjoy today’s episode, it’s really rich with awesome things and I hope you benefit from it. Hey, Joelle, how’s it going today? Joelle Anderson: It’s great, Leanne. How are you? Leanne Vogel: I’m awesome. Thanks so much for coming on the show. Joelle Anderson: So excited to be on. Leanne Vogel: Cool and for listeners that may not be familiar with your work, why don’t you start off by telling us a little bit about yourself. Joelle Anderson: Sure, so I am a counselor and psychotherapist in Toronto. I practice under a business called, Kernel of Wisdom in Toronto and I’m under supervision of some really amazing professionals, but I’m also a mindfulness coach. I did a bunch of training through the University of Toronto in the Center for Mindfulness Studies and I’ve been a practitioner for over a decade now, so since 2014 worked with a number of clients to help them develop just a more positive, loving relationship with themselves through mindfulness meditation. Also, with the essence of what I do, I also specialize in eating disorder treatment, so I totally get how the way that we feel about ourselves comes through in how we treat our bodies and how we nourish and nurture ourselves and so that’s a lot of the themes that I talk about, it seemed really relevant with what you do, so yeah, that’s it with me. Leanne Vogel: Yeah, and it’s so relevant to this space. I know as women specifically who are wanting to eat a ketogenic diet and even men as well, that maybe get a little bit too overwhelmed with all the rules and the tracking and everything, it can be quite beneficial to take a moment to really come into your own and I think you’ve prepared a little guided meditation to get us in the zone before we get through all the questions. I’m really excited with this idea you’ve had. Joelle Anderson: Totally. Yeah, I’m really excited to do it. Yeah, I thought we’d do a little meditation called the Three Minute Breathing Space. It’s really short. Leanne Vogel: Let’s do it. Joelle Anderson: Alright. For anyone listening that is able to close their eyes, feel free to do so. Sometimes it’s a little less distracting, but if you can’t, if you’re driving or something, please don’t close your eyes. I will start to walk you through it. The first thing to do is just start to check in with what you notice going on within you. Start to turn your attention inward. Scan the body and see if there’s any physical or emotional sensations that come up and just notice what it’s like to acknowledge that these are there and see if you can just be with these sensations. See if you can just focus on what it’s like to feel them. Take a few moments to just be with that. If there’s difficult sensations there, like stress or sadness or anger or fear, see if you can mentally just even come close to them instead of struggling with them to just see what it’s like to experience them. Start to shift your attention toward your breath and see if you can pull the breath down into the belly. See if you can just let the belly expand a little with each breath and focus on the feeling of the breath in the belly or toward the belly. Let your thoughts wander, that’s so normal. Don’t worry about it, just keep coming back to the breath as best you can. Allowing the breath to become a focal point for your attention. Then start to shift your attention away from the breath and see if you can start to expand how you feel by bringing awareness to the feeling of the edges of your body. See if you can mentally sense where your body ends and the space around you begins. You can sense the parameters of your body and then notice all the space that exists within that. You might still notice that the breath is there, but there’s so much space around it. Perhaps even those original physical or emotional sensations are there, but there’s also space around this. There’s so much more than these specific points of focus. You can even see if you can allow your attention to feel how your energy may even expand beyond your skin. And then start to come back to your regular routine, you can open your eyes, come back mentally to wherever you’re at with this sense of expansiveness still there. Leanne Vogel: That was lovely. I just followed along and I feel really relaxed. Joelle Anderson: Good. Yeah, that three-minute breathing space can be great for bringing a bit of self-awareness, but also relaxation, especially if we’re transitioning between a bunch of different stuff. Leanne Vogel: I love it. Thank you so much for setting the space for today’s conversation because when we paneled the Healthful Pursuit community in our private Facebook group and we said, “Hey guys, mindfulness, struggles, all the things, tell us what you’re struggling with?” We got some really, really powerful, but also painful conversations, so I think setting up today’s podcast with that meditation will be really nice to all getting on level playing fields so we can move forward with a couple of difficult conversations. Joelle Anderson: Totally and I hope setting the intention of actually being able to be with ourselves and notice what’s going on within, versus that constant pull we feel to be noticing everything that’s happening around us and paying attention to that. Leanne Vogel: Yeah, so true. Let’s focus on self-love first. Something that you mention in your intro, why is the relationship with yourself so important and why should it come before our relationships with other people? Or should it come before the relationships with other people? Joelle Anderson: Oh my gosh, yes. It’s such an awesome question and what I absolutely love about it is the way that you phrased it as a relationship with the self because I think what I really find is we often don’t consider our selves as being in a relationship with ourselves. We think of relationships as something we do with other people and that’s not necessarily fully true. The person that we spend the most time with is our selves, and so that’s why the health of that relationship, the health of how we are with our selves is so crucial because we’re always with us for better or for worse and it’s that relationship can be our best relationship teaching tool. If we can learn how to be with our selves and kindness, if we learn how to value a positive relationship with our self, it’s so much more likely that we’re going to be able to have positive relationships with other people as well, because we understand what a healthy relationship can look like, so when we value our relationship with our selves, we’re more likely to see that relationship as worthy against other relationships. Instead of always putting our selves second, we stand up for our boundaries, we can enter into balanced relationships with other people because we see our selves as just as worthy as the person. Not necessarily better, and certainly not worse, but on an equal playing field and we don’t often enter into relationships that way, especially women. I will put, that’s a generalization, but women in particular tend to really focus on relationships with others without considering that relationship with our selves and how it factors in, too. When we can do that, we also understand our own thoughts and feelings and emotions so that we can regulate those things when we’re in a relationship with other people. And because we understand how the inside relationship works, how the relationship with our self works, we start to see that other people also have a relationship with themselves and that that’s distinct from us. It’s so easy to feel like we cause things in other people or that we’ve created someone else’s feelings, but that’s not true. They’re responsible for their relationship with them self just as we are with our selves and if we can’t distinguish between them, it’s really hard to be in healthy relationships with other people. Leanne Vogel: How would this state of self-love and even just self-acceptance and knowing and having that relationship with our selves, how can that influence our romantic relationships? Joelle Anderson: Oh my gosh, because … yeah, I think with romantic relationships, they’re relationships times ten, right? They’re so close, they fill this space between the relationship we see with our selves and the space we see with most other people. A romantic relationships are the kind of … we almost sometimes see them as extensions of the relationship we have with our selves. We’re so intimately familiar with that partner, that it’s easy to feel like we’re in their world as much as we are in our own, and so it’s even harder in that context to have healthy boundaries. I know I’ve felt like this sometimes, when my partner’s going through something, maybe they’re sad, maybe they’re stressed and I feel like I’m almost going through it and being able to step back and be like, “No, that’s their journey,” not only allows us to shield ourselves a little bit from it, so we’re less weighed by anything that happens to them, but it actually allows us to be a better support for them because if we’re not going through it with them, if we’re not caught up in the flux of what’s happening in their world, we can ground them, we can be a support that’s far removed so that they can come to us and actually talk openly and feel confident that we’re not going to get sucked in and feel sad with them or that they’re going to affect us negatively, they can just share their experience, feel understood and feel secure enough to move on from that. Leanne Vogel: Yes. My relationship with my husband completely changed when I started to take time for myself and start accepting myself without all that dieting mentality I used to have and all the selfishness I felt when I would take time for myself washed away and I really started focusing on myself. Now, the relationship I have with my partner is so much better, so I can definitely relate to a lot of the things you said and some people may and I know that I’ve been here, too and I can’t even remember what the state is like fully, but some people say and have the feeling like they just hate themselves. Where would they start with self-love if that’s not even in their vocabulary? “Self-love, no way I could love this XYZ,” hateful things that they say about their body or themselves overall. Joelle Anderson: Totally. My heart just goes out because it’s such, unfortunately commonplace to be and the hardest part of healing is starting. I think when you’re in that place, if you’re feeling really low. If you’re that low that you really hate and loathe or resent yourself or all its many forms, know A) that it does take some pushing yourself to find motivation. You almost need to actively chose to try on something different. You don’t need to feel it right away, but you need to try something different and the thing that I would recommend people do to start in that, is to consider the idea that hate is not the opposite of love. Sometimes we think of them as opposites, but I’d actually argue that hate still involves some sort of caring. If we care enough to hate ourselves, then there’s still some part of ourselves that cares, that feels like we have the potential to be something more, to be something better. We haven’t fully given up on ourselves. Giving up is the opposite of love in my opinion and also if we hate ourselves and there’s still some sort of wish or some sort of hope that things could be different. We’re frustrated with ourselves, we don’t feel like we’re living that, we don’t feel like we’re doing that, but there’s some potential there for it, as far off as it might seem. Just maybe sit with that idea a little bit at first, that if you hate yourself then there’s some other way that you’re thinking you probably should be, and whether that’s true or not, maybe use that as the starting point to start to explore what that hate means for you. Being with painful emotions is difficult. I hear it. I get it. It is, and so as best as you can, be gentle with yourself. Start with maybe just exploring this idea for two minutes every once in a while, every few days, let’s say, and then get into it, maybe sit a little longer, sit for five minutes and then 10 minutes, maybe a little more frequently until you feel more comfortable really exploring why do you hate yourself? What is it that you feel like you should be or that you want to be? What vision do you have for yourself that you feel like you’re not reaching yet and where do you feel blocked? Sometimes we live in this culture were we hear all this stuff about how we should be happy, we should feel good all the time and there’s lots of awesomeness to feeling good. Everybody likes to feel good, but those negative feelings are trying to teach us something, too, and usually when we feel a negative feeling like hate or anger or sadness or fear, it’s trying to draw attention to something that we can change, something that’s not working and so allowing yourself to go into those darker emotions can produce some answers. It can be scary, but if you’re gentle with yourself and create limited spaces to do it and have that willingness, this is the choice part, that having the choice to feel that fear of going into it and doing it anyway, that’s true courage. And having those little ounces of courage to face, “Where’s this hate coming from?” and asking those questions can allow you to understand where it’s coming from and then that’s so powerful because if you understand where you feel blocked, you can make choices around doing something about it. It’s the first step. The first step is noticing and acknowledging, that’s the key to mindfulness, really, is noticing and acknowledging what is. What’s going on and if hate is present for you, that’s what’s real for you right now. Allow yourself to look at it, understand it, and then you’ll understand the choices that are ahead of you. Maybe it’s getting help. Maybe you don’t know how get past those things that you keep doing and you’re not sure why and you can look for self-help books or you can find a therapist or you can find a group of friends or start reaching out to people to find out what they do, but I’d say the first step is really to allow yourself to get closer to the hate rather than fighting with it. Leanne Vogel: Yeah, that’s so beautifully said and I actually never thought of love and hate being not opposites, so thank you so much. I’m going to definitely take that with me today. More of my interview with Joelle Anderson after this message from one of our podcast partners. A lot of people are struggling with the disconnect between self and their bodies and they might say, “I don’t know what my body wants from me,” or “Why does it always have to do this,” or “How does someone connect to the self?” I think from what I’ve heard from you so far, it does require some sort of self-connection and that mindfulness. How do we connect to the self so that we can connect to our bodies? Joelle Anderson: Yeah. Well, that’s an interesting way to phrase it, actually because in my opinion connecting to the self, the key to being able to do it is to connect through the body. Our bodies are always in the present moment and part of the trick with understanding what it is that we want, whether that’s an emotional want or even, what do we want to snack on today? It comes up in the body. Whether again, it’s a physical sensation that comes up in the body or an emotional sensation that comes up in the body and part of the trick is that for anyone who has difficult emotions there, the tendency, which is so human, this is not a self-blaming thing, it’s so human where the tendency is to want to avoid the body and so we tend, especially, even as a culture to get into this habit of trying to get away from our body and we might do that with things like food. We might do it with things like drugs, alcohol, other substances or we might do it with things like, just always being in our heads, trying to use our thoughts to fix how we feel, overanalyzing things, rumination, that’s where that starts to come up. For some people, getting away from the body can come up in terms of spiritualizing everything, wanting to always be on that higher plane, always looking for this deeper meaning, feeling more connected to some sort source or god or energy, rather than really looking to the body for answers, they might look to prayers, other things outside of themselves and there’s nothing wrong with any of those techniques when you need them, but to acknowledge them as a choice rather than your only tool to cope is really important. To reconnect then, the step becomes starting to engage with the body in any way and when we relate to the body as something that we struggle with, this really takes consciously and actively practicing something new. And so it’s a little like what we did in the three minute breathing space is starting off by scanning the body and just noticing what it’s trying to tell us. What is there? That might be physical sensations or it might be emotional sensations. For people who feel like, “How do I connect with that? How do find myself then?” It’s starting to be like, okay well you’re present right now in your body. What is there for you and your body? And they scan and you might see, “Oh I feel a lot of sensation actually in my tummy, it feels kind of uncomfortable,” but the more we look at it, you’ll probably recognize, but I can handle it. It can’t hurt me. Those sensations, those feelings, they can’t hurt me, so how can I just observe them? Just notice what they’re like and often what I suggest then is that people actually use labeling to start to name and therefore tame what they notice in their body, so you start to see if you can describe the sensation, so if you’re noticing a lot of stuff, a lot of, let’s say it’s emotional stuff going on in the torso area, what I’d encourage people to do is, okay, how might a scientist or a poet describe what those sensations are like? If you had define what it’s like to feel that, how would you describe it? That’s where so many people get tripped up. It’s like, “Alright well I could go for a run because that’s supposed to be a good coping technique,” or “I read in Yoga Magazine that I should do this type of yoga,” or “I know that maybe it means that I’m short on water or I need more electrolytes,” or “I need to eat that thing.” We start to jump into ideas of what can help us and so take a few moments to be with that sensation, breathe, even put a hand on it and ask, it sounds weird, but ask the body, “What do you need? What can I do?” See if an embodied answer comes up. This is the tricky part because sometimes people doubt, “Okay if it just came to mind, does that mean anything? Is that important?” My answer is, yeah. That is the relationship with yourself. If you were in a relationship with a friend and every time they gave you a suggestion and you just ignored it, that person would probably start to get pretty annoyed with you. It’s not conducive to a healthy relationship and so what I suggest is then, really shifting that by listening. The more you listen to what comes up, what comes to mind first, if it’s just, “Oh, I feel like I should just sit for a while or maybe I need to turn the TV off in the background because I just feel overwhelmed, or maybe I need a nap,” that first response, that intuitive response that comes from being with your body is probably going to be more nurturing and more connected to yourself than any idea or any kind of suggestion that comes from the outside or that comes from your mind. Leanne Vogel: That’s beautiful and a couple of thoughts that came through while you were talking, you mentioned looking for things outside of yourself and some people cope with substances or food. What we see a lot, especially in the ketogenic space and the people that follow us is a lot of people cope with diets and they try to change their bodies to try to, I don’t know … I know that I had this belief, it’s like, if I just get to a certain weight and I look a certain size, I don’t know what I thought would happen. I don’t know, the clouds would part and all of a sudden my life would be better. I’m not sure what I was thinking, but I know a lot of us … a lot of the people listening right now are struggling through, how do I free myself from the constraints of a diet and just be happy for once without leaning on a diet or eating style to get me there? Now, as Leanne, I use keto because it makes me feel good and my keto is going to be different than other people’s keto because I don’t obsess about things and I just let it roll, but I know with my past of eating disorder stuff, it took me a really long time to get through that. What tips do you have for people that lean so heavily on their diet to define their happiness and they never quite get there because it never makes them happy? Joelle Anderson: Yeah. Such an awesome question and I think what I’m going to do is steal some advice from someone smarter than me. Leanne Vogel: Always a good plan. Ultimately, it’s not about the weight or the look, is it? What would that goal help you feel or achieve? Are you hoping to lose weight so that you can feel more vibrant and then realistically your goal isn’t necessarily weight loss, it’s vibrancy. If you can project, if you can sit with, mindfully sit with and start to explore, what would vibrancy feel like? See if you can imagine vibrancy, what the most vibrant you would look like. You can allow yourself to have a mental image of what that looks like. You can picture someone who you’d think of as a vibrant person. What do they do? What is it that you’re so attracted to in them and imagine yourself that way and then notice how that makes you feel in your body. Start to experience, start to feel what vibrancy feels like in the body and then come back to what can help you achieve that. Is weight loss really going to help you achieve that or are there a variety of things you can do to achieve more vibrancy in your life so that it’s not all hung … it’s not all caught up in this one thing that we feel like we need to have in order to get vibrancy. That’s the nature of attachment and that’s … attachment’s a word that comes up a lot in mindfulness, in Buddhist philosophy and that Eastern philosophy that informs mindfulness because attachment, whether it’s strongly holding on to something or being very adverse, being very avoidant of something happening, happens on both ends of that spectrum, but attachment is where we get into struggle. When things have to be a certain way and to loosen that, it’s to come back to the intention, the idea behind it, broaden it a bit and see if there’s a variety of ways we can get to that same goal. Then that starts to make things like weight loss feel less important. The ironic thing is sometime then we start to live in vibrancy and weight loss happens if it’s meant to be a part of that or sometimes we find all these things are going to help us feel that thing that we want to feel, whether it’s vibrancy, acceptance, happiness, love, joy, permission to be ourselves. Whatever it is that we’re setting up goals to feel, forget about the goals, focus on the feeling first and then come back and see if there’s a variety of ways that you can achieve it. Leanne Vogel: Yeah, I was introduced to Danielle’s work many, many, many, many years ago, when she first started it before all the things and it has been really helpful. It’s something that I use all the time, whenever I’m feeling a little bit stuck and even now, to the point where I don’t even really think about it, it’s becomes such a natural practice for me, so yeah, I’ll definitely include the link to her work in the show notes if people are interested, so yeah, thank you so much for weaving that in for sure. How does self-image relate to self-sabotage because we talk a little bit about fear and how to overcome that and that’s a big piece to this work, but I know that sometimes people will head down the path of doing this work and then sabotage themselves and how does that all relate together? Joelle Anderson: Oh my gosh, yes. That happens to me all the time. I love this question because, oh my gosh, have I ever been there. I think we’ve all been there because it’s a really human thing. I’m going to take a step back and I’m going to get into a bit of psycho education, a bit of psychobabble stuff. Here’s the thing. Self-sabotage comes down to a concept that’s called, cognitive dissonance. I’m going to explain this a little bit because some people may have heard of it, some people may have not. The idea behind cognitive dissonance is that it is way too psychologically distressing if our beliefs and our behaviors do not align and so our being, our psychological being is set up to protect ourselves from that, and to do that, what it does, is at a subconscious level our minds make sure that our beliefs and our behaviors are always in alignment. That means a couple of things: it means if a belief and a behavior do not align one of two things is going to happen. Either the belief will have to change or the behavior will have to change. If we have a really deeply held belief, it is trickier to change and it’s more likely that the behaviors will change, consciously or subconsciously. This is why self-image is so important at that because if we have a self-concept, if we think of ourselves as someone who’s unworthy, or someone who’s bad or someone who’s not good enough or … we all have this inner critic. When we’re little kids, we’re so self-conscious that the second something bad happens in our world, whether it’s something really traumatic and bad, which unfortunately happens to so many people, or even if we had great parents, but there’s something that came up at school or they have an argument and you don’t understand the child brain blames ourselves and so it’s so common for us, for every single person to have some level of this inkling that like, “What if we’re bad, what if we’re not good enough?” “I don’t know if I’m worthy, I don’t know if I deserve,” and the stronger that is, the stronger the belief, the more likely it is that we’re going to self-sabotage because of cognitive dissonance. If deep down, at some level we don’t believe, even a bit that we deserve, then if we’re trying to do things that are more deserving, it’s going to be really hard and because the behavior doesn’t align with what we believe and so we’ll start to create situations where we think we’re trying to do something good for ourselves, something that would be healthy and nurturing and self-loving, but then we self-sabotage ourselves, almost to prove ourselves right. To show, “Yep, see I really am unworthy.” It’s more important for our brains that we are right than we are happy and that’s such a powerful thing to know. It can sound discouraging, but it’s so powerful because the second we realize that, then all it means is that we might need to do some work on shifting our beliefs. If you find you keep failing, it might be valuable to take some time with mindfulness or just see a coach or a counselor or a therapist or to talk to a really supportive group of friends or look into some self-help books to see how you … journal, do whatever is going to work for you to start to explore how do I feel about myself? How do I want to feel? Is there a difference between the two? Okay, and if there is, that can be scary to see and acknowledge, but it means that acknowledging it means you can do something about it. Okay, great, maybe there is a difference. Is that true? How can I challenge that belief and the amazing thing about cognitive dissonance is if spend some time looking at and challenging our beliefs we can, like I said before, if our behaviors and our beliefs don’t align, the second we poke holes in the belief, so it’s less strong, we can use … at that point, it changes in our behavior to start to shift the belief. It’s only once we’ve loosened the grip of the belief a little bit that we can start to use different behaviors, consciously, mindfully, experiment with different behaviors so that we can start to see that maybe that belief was less true than we thought and so they start to change in relationship to one another. If we start with deeply held beliefs and start to try and change behavior within that context, we’re going to self-sabotage. It’s not your fault. It’s not your fault if you’ve been doing it, it just means that you might need to start working on a two-pronged approach. Leanne Vogel: Amazing. I have so many questions for you, I’m not even sure which one to ask next. Okay, here’s one that we’ve chatted about before on the show and something that I struggled with previously, so I’m sure it relates to a lot of people. With social media being such a huge part of our day-to-day lives, how can we refocus on self and avoid comparison? I always call it the 3:00 pm comparison hour, where all of a sudden at three o’clock I jump on all these other blogs that I think are better than mine and I’m looking at other podcasts that have more reviews than mine and all of a sudden I’m feeling horrible about my life and the internet allows me to do that quite easily and it’s the same thing with social media. If you’re scrolling through Instagram, all you’re going to see is people’s happy moments. I don’t take a picture of when Kevin and I are fighting, and be like, “Have the best fight right now!” How do we go about that? Leanne Vogel: Let’s do it. Yeah. Yeah, so common for that to happen. Acknowledge those moments that we use social media as self-sabotage when they are self-sabotage, when they are trying to reinforce a belief, when they’re trying to get at our inner critic a little bit and reinforce that self-doubt. Being mindful that that’s what we’re doing is the first step to choosing whether we want to do that or not. The 3:00 pm part, I think is also beautiful. Beautiful, because I think it happens for most of us at 2:00, 3:00, 4:00 pm. We’re tired at that point in the day and the more that our resources dwindle, the more that we’re bored, we’ve done a bunch of work by that point, we need a bit of a self-care break, that’s when it’s easy to give into those things. When we have energy, when we feel on top of our game, it’s a lot easier to not give into the inner critic. To be in that space of courage or that space of wellness. It’s when we need a bit of a break that it’s easy to slip into those self-sabotaging moments. It’s such a beautiful example because I think it’s one that we can all relate to so well. We are at that point in the day where things are a bit trickier and that’s when we start to do the scroll through social … “I don’t even know what I’m doing anymore. How long have I been on this?” It’s more difficult to be mindful of what’s going on. It’s a great example for those reasons and I think the key to doing it is just trying to enhance that mindful exercise. The more that we get into this habit of being in a relationship with ourselves, the more we start to notice our habits. We start to be more intimately familiar with how we feel. We start to rewire our brain to be more aware of what goes on for us and so it’s more likely in those moments that we’ll catch ourselves doing things that aren’t serving us. That’s so important because when the first step is to notice that this doesn’t feel good anymore and then to decide, do we want to hop off? The noticing is sometimes the hardest part. Really getting into that habit of being in relationship with our self, of asking our selves, what do I need? Does this feel good? Scanning the body periodically to see, how’s this feeling, really, right now in my body, how’s this feeling? Social media’s an escape, just like food, just like any other and sometimes we use it to reinforce things that don’t feel great and being aware of what’s going on in our body, using our body and the present moment to ground us and getting more exercise, rewiring our brain with time and it does take time to start to catch ourselves in those moments, we’ll get more choice around it. Leanne Vogel: Yeah, it’s beautiful. I no longer use social media to compare myself. I think I did, maybe once, a couple weeks ago. I went into to somebody’s account because they’re always comparing me to that person, like, “You’re so much like this person. You should do this and that like they do,” and so sometimes I find myself going onto their profile and I caught myself last week and I’m like, “Hey, yo, you’re two different people, you’re doing two different things. You’re awesome. They’re awesome. Just get off there. It’s not going to make you feel good,” and other than that, just looking at social media for what it is. It’s beautiful moments from people’s lives and isn’t really a highlight of much of anything has been really helpful, but it can be a huge trap that people get into and it was a huge trap for me for many years. The pressure, also, of being on it all the time, so yeah, thank you for your tips. That’s awesome. Leanne Vogel: Yeah, please do. Joelle Anderson: I was just going to say, the one other thing to bolster ourselves against that is some strong self-compassion work. Now, we’re getting toward the end of our time, so I won’t go into too much detail on that, but there’s a woman named Kristin Neff and I can send you a link to her work so you can share it with your listeners, but she does some amazing work on that. There’s an exercise called the five minute self-compassion break. Learning how to also, when we do get sucked into those negative spaces, actively practice saying self-compassionate things. Not things we don’t necessarily believe like, “There’s nothing wrong with you. You shouldn’t compare,” all those things are only going to make things worse, but things like, “So human to compare ourselves. Oh my gosh, I remember Leanne did that too or I remember so and so did that. I remember Joelle said she does that too. It’s so human. It’s okay. You know what, I don’t like that feeling, but it’s so natural that I did it. I’m going to choose something different for myself.” Building that compassion arm toward ourselves really helps. I can give you some resources for that too. Leanne Vogel: Yeah, please do. That’s been really pivotal in my own healing process of instead of beating myself up over the fact that I’m doing something “wrong,” it’s usually because that negative self-talk is trying to protect me from something and what is it trying to protect me from? Oh, from the feeling that I’m not good enough. Why is that happening? Asking yourself questions, but being really compassionate with yourself, so yes please, send those resources. I’ll include them in the show notes for sure. We have direct questions from our listeners and we wanted to keep the questions the way that they were because I think a lot of tone will be helpful for people to hear what other people are struggling with. We have just a couple more minutes, so I’m wondering if we can go through them and just offer a little bit of advice for each one. Would that be okay with you? Joelle Anderson: Yeah, totally. I love that. Leanne Vogel: More on my interview with Joelle Anderson after this message from one of our podcast partners. Okay, so the first one is, “Not only do I feel self-conscious, but I realize that I shouldn’t feel this way and then I beat myself up over it for being self-conscious.” What should this person do? Joelle Anderson: Should is a word we all use all the time and it’s literally one of the worst words in the human vocabulary. Joelle Anderson: Because the subtle implication is that we’re comparing ourselves, is that there’s some other way that we think we’re supposed to be. Again, so human, so natural. Love yourself for asking it because we all do it, you’re by no means the only one, but check yourself when you ask yourselves, “I shouldn’t be feeling that way.” Well, why shouldn’t you? Really, why shouldn’t you feel that way? Maybe it’s normal to feel self-conscious sometimes. Maybe everyone feels self-conscious sometimes and so, the first thing in terms of being self-compassionate, in terms of loving yourself and improving your relationship with yourself, emotionally and body and spirit as well is checking your shoulds. Actively … one thing I suggest people do is actively practice replacing that word. If you catch yourself saying something like, “I feel self-conscious, but I also shouldn’t feel that way,” yeah, you’re going to feel worse. Totally. I’ve done it a zillion times. You’re going to feel worse. Change the word. Go back. Can you say, “Okay, I feel self-conscious, but I realize I don’t want to feel that way.” If you change should to “I don’t want to,” how does that shift the power you feel and the way that you phrase that to yourself? Leanne Vogel: So much more power. Joelle Anderson: It’s so much powering to be like, “I feel self-conscious and I don’t want to.” Great. The next natural thing that comes up is, “Okay, well what can I do to fix it, then?” I don’t want this, not beating ourselves up because I feel like I’ve done something wrong by even feeling my feelings. No, no, no. Your feelings are perfect. Everything we feel is there to try and guide you and support you. It’s not there to blame you. Again, imagine what it could look like to be something different and the next step, which is key, is to notice how it feels in your body to be in that state. The body doesn’t know … the brain, if we give it an image, it relates to it very similarly to if we’re actually experiencing something in real life. If you want to create a feeling you don’t currently feel, try and imagine that way of being and then notice how it feels to be in that state and it’s the acknowledging how it would feel to be that. That’s your guide post. That’s starts to give you something to strive toward. Joelle Anderson: Right. Yeah, I think with this one, I’d encourage people to go back to some of the things that we’ve touched on, but I’ll summarize them in a way that’s more meaningful for this kind of weight loss, body image type of issue. One is to go back to the idea of, what did you expect that losing weight was going to do for you? Where you hoping it was going to fix something emotional? Can you pinpoint what the things are that you were hoping to feel? Again, it’s a should versus a want, here. If you’ve been relating to weight as, let’s say … I’ll use an example here, but let’s say losing XYZ weight was going to make you feel more approachable, better liked by other people, more likable, alright? Really, subtly what we’re saying to ourselves is, “Being X weight should make me feel this and it doesn’t, so there must be something wrong with me,” versus saying, “I want to feel more likable, more approachable, more confident talking to other people.” Okay, weight was one behavior you were experimenting with in order to try and achieve that. Sounds like it didn’t help you do it and now you’re beating yourself up for it. It wasn’t fast enough, it must not have been enough. No, those pieces go back to the shoulds. Really go back to the core and check what was it you were hoping to achieve through that weight and is there other ways to work on those processes? Instead of being more likable and comfortable talking to people through weight loss, is there other ways that you can do that? Maybe, you are kind of shy, are there books you can get or groups you can join or things you can do to actively work on coming out of your shell? Can you research some conversation starters? Can you look at your wardrobe and see if you can put things together in a way that feels more you, that feels more expressive. Experiment in all these little ways in terms of achieving that end goal feeling and then the beating ourselves up about what weight should or should not have done for us will start to fade away. Leanne Vogel: Amazing. Perfect. My next piece is … okay, we have three more and I really want to get through them because they’re so good. Joelle Anderson: I’ll be quick. I’ll be quick. Leanne Vogel: “I have hormonal issues, which shows up on my skin. I look in the mirror and I hate what I see” and I think that could be (insert thing here). Hormonal issues, acne, maybe that you have a mum belly … people call it a mum belly and they love everything about themselves, except for that. How do they overcome that one thing that just drives them nuts and they think that it needs to be different? Joelle Anderson: Totally. A few things here. This is where self-compassion practice can really come in. I’m going to walk you guys through a few steps for this. One is to acknowledge, okay, I can acknowledge and except that this is what I see. This is what’s present whether it’s acne, something with my skin, my mum belly, it’s not looking in a very physical sense the way that I had imagined in my mind. Okay, well if it is something fixable and really check yourself on that question. Is it something that you’ve tried to fix and doesn’t go away? If it’s something that’s fixable, remind yourself of the stuff you’re doing to fix it. For example, with hormonal issues, if you’re listening to Leanne’s podcast, I know you talk a lot about hormones and different ways to heal and work on that, you’re probably doing a lot to try and work on it already. Remind yourself of that and remind yourself that it takes time. These things takes time and so, step one is to acknowledge, what am I doing? If it’s not something fixable, take a look at it and be like, “Okay, well try and put it in perspective. Is it that big a deal?” Go again into the darker side, what are you afraid it means about you? Does it mean … are you making it mean that you didn’t work hard enough? You aren’t good enough? Are you making it mean that you’re getting older and you don’t like that? Those are such human things to feel, but you need to understand what it is that you’re struggling with, what it means for you. You can spend some time reflecting on what it’s meaning for you. How you’re thinking about it. Why is that important? I do this in a few ways. I start by asking myself the question, “What is this making me feel?” Sit for a few moments, notice what comes up. Pay attention to what comes up in the body, then put whatever response comes up aside for a moment and ask yourself, “What does this really making me feel?” See if anything new comes up. Sit with that. Acknowledge that. Put it aside. Ask yourself, “Okay, what does this really, really making me feel? What am I really making this mean?” See if something else new, something a tad deeper comes up and then if you ask yourself that question a few times, you’ll probably understand the problem, what you’re feeling a little bit better. Again, it will probably be some emotions you’re struggling with, some other things there that there might be other things you can do to address them. Acknowledge those things. See if there’s anything else you can do to achieve the feelings you were hoping the flat tummy or the perfect skin or those other things were making you feel. Lastly, say words of kindness to yourself. Things like, “You know what, I don’t have perfect skin, but may I be happy. May I be healthy and safe. May I love and accept myself just the way I am.” Feel free to tell yourself words in your mind that are comforting, that are compassionate. You can imagine if your mom or your dad or someone that really cares about you was sitting with you that they might say to you if they were trying to be compassionate. Allow that compassion in and allow yourself to give it to yourself. It feels silly to sometimes silently say those really nice things to yourself, but do it. That’s the key and then take your time to address the things that can be addressed and those words of self-compassion and acknowledging control in other areas where we have it, that’s what gives us the power to let go. Leanne Vogel: Yes. Would it be a similar practice for very tied in beliefs about something, especially when it comes to diet culture, the way our bodies should or shouldn’t look? For example, in my head, I always imagined that I’d be a size five and that controlled everything about myself until recently … well, I’ve worked very hard on it for a couple of years to get to the point where I am now, but recently I figured out what a size five would be like in inches and then I measured my hips and I figured if I wanted to fit into a size five, I’d actually have to cut four inches off my hip bone to be able to fit into a size five. That was a really good way of me being like, “Okay, Leanne, you’re never going to fit into a size five,” but there are these beliefs that we have about if I am a size XYZ or I am a weight XYZ, I will be happy, at peace, respected at work, more outgoing, whatever those may be. How do we get through that so hard-wired belief? How do we get through that because I don’t know if it’s one answer because it’s such a complicated topic, but do you have any thoughts working with eating disordered individuals and just a first step of breaking through that so hard-wired belief system? Joelle Anderson: Totally. You know what? It’s actually for a very complex situation that we find ourselves in, it is a relatively straight forward answer. What does that, in this case size five mean? Literally, if we think we want something and it’s again, it comes back to what do we think it’s going to do for us in our life? What do we think it’s going to make us feel? If we’re looking at, even things like, “I have to date this guy. It has to be this guy or I have to …” this is a powerful one and I feel like I’m going to say … it’s going to sound light when I say it, but it’s not a light feeling when you’re in it. “I have to have children.” “I have to be XYZ weight. I have to.” If you’re finding yourself up against this has to be in my life and it’s a tangible thing, either you could hold it, touch it, it depends on a very specific outcome like that, ask yourself what you think that’s going to do for your life and understand what it is that you … what do you really need? What are you wanting out of that thing because there may be other ways to achieve that. If you’re looking to achieve that feeling, to achieve that state of well-being from something that’s kind of out of your control, acknowledging what it is that you really want out of it allows you enough flexibility to see are there other ways I can get that same thing, which is essentially the same thing as being like, “Okay, I might not have control there, where else do I have control?” Then it starts to … you will find those things in a variety of different ways rather than all your eggs being in that one basket. I’m not even saying that you have to give up on weight loss, if you really think it’s going to be the be-all and end-all, tends to not be the thing that fixes all these deeper things, so know that and try and expand the number of ways that you’re trying to find the same feeling because you might find that that one thing you thought was so important is less important when you start finding a variety of different ways to achieve what you want out of life in terms of how you want to feel, how you want to live. Leanne Vogel: Yes. That’s so true and something that I’ve really witnessed these last couple of months. I still dealt with a lot of, not binging behavior, but just using food to cope, and I really didn’t understand why and then I realized a couple … well, probably about six months ago now, that I used it when I just wasn’t in a comfortable situation. I wasn’t happy and I just felt like restless and I would just eat and that was right around the time that my husband and I decided to sell everything and move into our RV and in this space I feel so much happier and so much more connected to myself that eating to cope because of restlessness hasn’t been a thing and I think it doesn’t have to be as drastic as completely overhauling your entire life, but when we have those certain symptoms and we’re not feeling our best, sometimes it takes understanding what we need because it wasn’t the food that I needed in that moment, it was adventure and spontaneity that I needed. When I wasn’t getting those things, I relied food and so now that I’m getting adventure and spontaneity, I don’t need to rely on that food to make me feel better because I’m having those things that I actually wanted, so that ties in with the desire map stuff, for sure. Joelle Anderson: I think what’s important for people to hear in that too, is Leanne great example, super good example. Also, I know I’ve been there, I’ve been really trying to search for other ways to fill my light and I would just hope people also recognize, it takes time. If you’re starting on this journey of self-exploration, you don’t start be being like, “Oh, I know all my feelings and so I just need to do XYZ.” If I’m making it sound like that, know that that’s not the process. This stuff takes time and exploration. I’ve been practicing mindfulness for 10 years and I’m still learning stuff about myself, which is beautiful. Don’t expect it to happen overnight and know that they’ll be days you still use food or weight or whatever to try and feel better or social media or whatever and that’s okay. That’s been a habit for a long time and so it takes time to shift. Leanne Vogel: Yes, thank you so much for mentioning that, for sure. Where can people find more from you? I understand that you’re coming out with a new digital course pretty soon. Joelle Anderson: Yeah. I got a few mindfulness courses on the go. People can go to kernelofwisdom.com to learn more about all my therapeutic services including my mindfulness group courses. One thing I’m launching in the fall, so it starts … a course starting at the end of September of those in Toronto and then early October for anybody from anywhere because I’m doing a mindful eating digital course and I thought giving the people who listen to you and some of the stuff we’ve been talking about, I thought I’d offer 15% off that mindful eating course for anyone who wants to use the discount code KETOPODCAST. I’ll give you those details in the end, but that is available to you and otherwise, I have a bunch of free guided meditations and videos on YouTube, so if you search Kernel of Wisdom on YouTube, that’s amazing and otherwise, more on me is at kernelofwisdom.com. Leanne Vogel: Amazing. Thanks so much for coming on the show, Joelle. 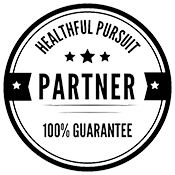 I really appreciate it and the show notes and full transcript for today’s episode can be found at healthfulprusuit.com/podcast/e50.